Fratelli Mantova. Since 1905. 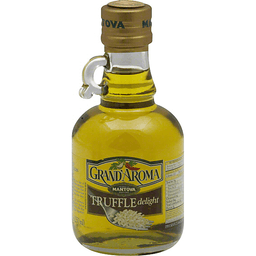 Truffle is the ultimate drizzled over rise dishes before serving or to give any dish that special touch. Enjoy it! Grand' Aroma Mantova is a line of balanced blends of herbs and spices in high quality extra virgin olive oil to add special flavors to your favorite dishes the easy way. Produced and packed by Compagnia Alimentare Italiana Spa. Product of Italy. With a dash of lemon. This product may become cloudy at less than 8 degrees C but will clear at room temperature. 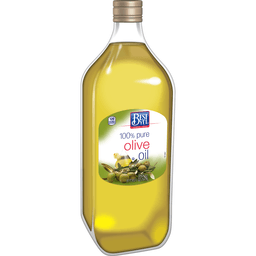 Olive oil made from handpicked olives flavored with lemon to give it an even more healthy kick. 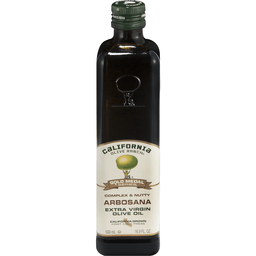 This naturally flavored olive oil is a delectable accompaniment to salads, seafood and grilled fish or meat. www.gaea.gr. Product of Greece. First cold pressed. Grown and pressed in Sicily since 1916. All natural. Unfiltered. Hand-picked. Estate grown. USDA organic. Fresh Pressed: Early production - 8 hour or less. 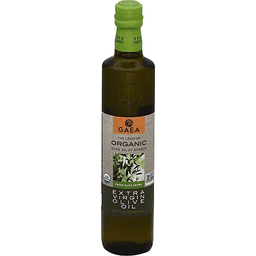 Made from organic olives, Organic Paesanol has an exquisite tasting profile: it is green and grassy, with notes of artichoke and a distinct peppery finish. The olives are grown according to the principles of sustainable organic agriculture and are carefully harvested by hand in early October. Dal 1916 Asaro Partanna. Los Angeles County Fair Gold Medal Award - 2005. Los Angeles County Fair Gold Medal Award - 2006. 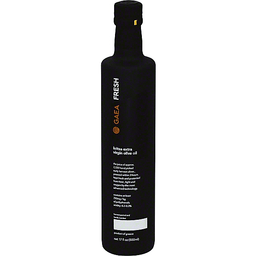 New York International Olive Oil Competition - Gold 2013. They are crushed within 8 hours to capture maximum freshness and health benefits. 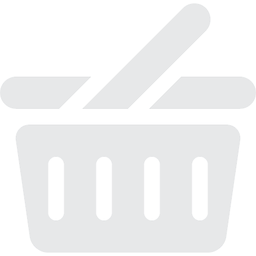 Organic Paesanol is kosher certified and pesticide free. 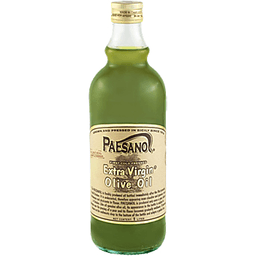 Like the traditional Paesanol, Organic Paesanol is undecanted: it appears cloudier and greener and is more herbaceous and pizzicante in flavor. Since 1916. Italy agriculture. www.unitedoliveoil.com. Certified organic by Suolo e Salute SRL. Packed by: Oleificio Asaro SRL - Partanna - Sicily - Italy. Made in Italy. With a dash of garlic. This product may become cloudy at less than 8 degrees C but will clear at room temperature. Olive oil made from handpicked olives flavored with garlic to give it an even more healthy kick. 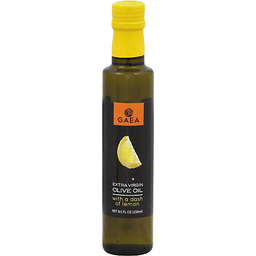 This naturally flavored olive oils is a delectable accompaniment to fresh tossed pasta, pizza and grilled fish or meat. www.gaea.gr. Product of Greece. 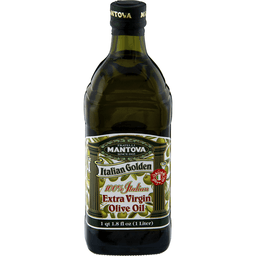 Mantova Italian Golden 100% Extra Virgin Olive Oil. Italian. Fratelli. Since 1905. Cold pressed cholesterol free the taste of fresh olives. The Mediterranean diet consist of tasteful foods and appetizing seasonings of the Mediterranean cuisine, all natural and full of taste. This extra virgin Olive Oil is full of olive taste and is easily digestible for everybody since its clear taste and fullness of flavor allows you to use it in smaller quantities. Highlighting and not covering the flavor of your dishes you will be able to taste today the flavor of the oil as it used to be and rediscover the true flavors of your dishes without making them heavy to digest. The art of fine olive oil. Mantova quality. Customer service: info@fineitalianfood.com. Complex & nutty. First cold press. COOC: California Olive Oil Council certified extra virgin. Non GMO Project verified. nongmoproject.org. Californiaoliveranch.com. Like fine wine, natural fruit sediment may occur. Product of California, USA. With a dash of basil. This product may become cloudy at less than 8 degrees C but will clear at room temperature. 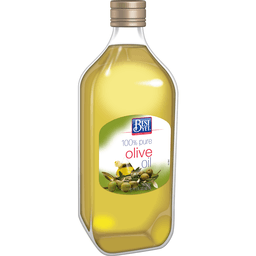 Olive oil made from handpicked olives flavored with delicate basil to give it a delicious and fresh taste. 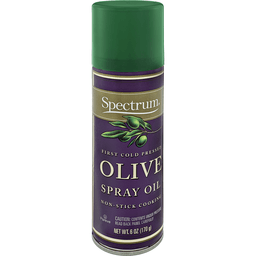 This naturally flavored olive oils is a delectable accompaniment to pizza, fish and pasta. www.gaea.gr. Product of Greece. The juice of approx. 2,320 hand picked early harvest olives, pressed within 3 hours. Kept fresh and protected from heat, light and oxygen by the most advanced technology. Contains at least 250 mg/kg of polyphenols. Acidity: 0.2-0.3%. Sensory Profile: Fluidity (5.0); artichoke (4.5); grass (5.0); green (4.5); green fruity (5.3); ripely fruity (3.5); olive leaf (3.7); bitter (4.0); pungent (4.8); retronasal persistence (6.2). 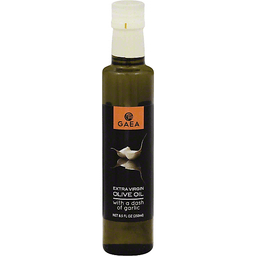 GAEA Fresh early harvest, extra virgin olive oil was born out of Gaea's desire to offer the absolute best. At the ancient olive grove of Kritsa in Crete the olives are harvested by hand while still green and unripe. Pressed within three hours from picking at temperatures below 77 degrees F, they produce a fresh, green spicy and fruity oil, rich in antioxidants, with an exceptionally low acidity. Advanced technology seals the aromas and the freshness of this suburb olive oil and keeps it protected from oxygen, heat and light. This way, the bottle's valuable content stays fresh almost for ever, especially if you keep it properly stored in your red wine cabinet at 65 degrees F. Proceeds from this bottle support the Kritsa farmers. 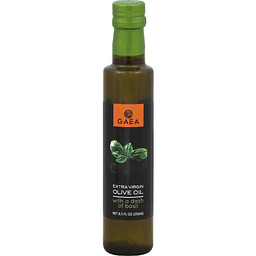 Diligently bottled by Gaea Products SA. Customer service hotline: 1-844-883-Gaea. www.gaeaus.com. This product is numbered. Non GMO Project verified. nongmoproject.org. EVA: GetGoodOil.org. Extra Virgin Alliance. Myclimate. Product of Greece.